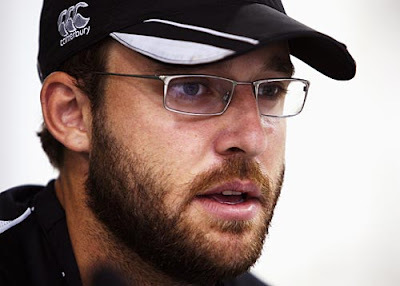 Daniel Vettori has said he has always loved Indian cricket, but has also started endorsing the credentials of Sachin Tendulkar ahead of co-contenders Brian Lara and Ricky Ponting as the greatest living batsman. The kiwis skipper, who in his autobiography named Tendulkar, Rahul Dravid , VVS Laxman in a personal world Test eleven, said it was good for cricket in his country that supporters would have a final chance to witness such an outstanding trio of batsmen. Who's the best of the three modern greats (Brian Lara, Ricky Ponting or Tendulkar)? he asked? “I think Tendulkar is. Ponting runs him pretty hard but I think Tendulkar, for the manner in which he's handled the pressure; for the no-nonsense, lack of drama, even-keeled approach, has to rank as the best in my lifetime - at least so far. Add to the mix India's exceptional skipper MS Dhoni, Ishant Sharma, dependable left-arm swing merchant Zaheer Khan and off-spinner Harbhajan Singh, and Vettori said it was clear his side will have to be on top of their game to emerge triumphant. It's going to be tough work, no doubt. But on the other hand, there's a hell of a lot for us to play for.